The good old Australian road trip. It’s as much a part of our culture as beer, boomerangs and barbies. But whether you’re thinking of travelling the Great Ocean Road, the Uluru to Kings Canyon route, or even the Heritage Highway in Tasmania, the modern day road trip is only as good as the gadgets you have on board. Wave goodbye to a trip totally devoid of creature comforts, and say G’day to the very things that will get you from A to B still talking to your road trip companions. The in-car charger is probably no stranger to your packing list, but we’re talking about something far greater and more powerful than the humble little 2-hole USB cigarette lighter charger. Instead, we really recommend getting a portable charger that can be charged up en route during the daily miles, but can then hold its charge and lend a hand when you need it, such as the Precision 11000mAh Powerbank. This little device packs a punch when it comes to power-charging and will make sure that all of your devices, from your smartphone to your kids’ tablets, will stay charged for the entire road trip. Even better, power chargers such as the Precision Powerbank have more than one port, so there’s no need to argue over whose device needs charging most. It only weighs 400g, making it easy to carry – perfect for backpackers and alike. Not possible with this particular model, but you can even get portable power packs and chargers that are capable of jump starting your vehicle. Now that is an added extra. Whether you’re on the Nullabor Plain, or heading to the beaches of the East Coast, you’re going to need a cooler on your road trip. The basic cooler just got elevated to epic proportions with the arrival of The Coolest Cooler. Don’t mistake this little guy as simply a space to store the tinnies to keep them cool until you’re no longer behind the wheel. Oh no, this is so much more than a cooler. It’s not cheap, but here’s why. First off, it’s cooler credentials: it will keep ice resembling ice for around 4-5 days, with a pretty big volume of space for keeping things cool. But it’s also got a built in blender. This means you can stop off on the road, grab your favourite seasonal fruits, and get blitzing for the most divine smoothies (and that evening mojito). Then comes some seriously cool benefits. 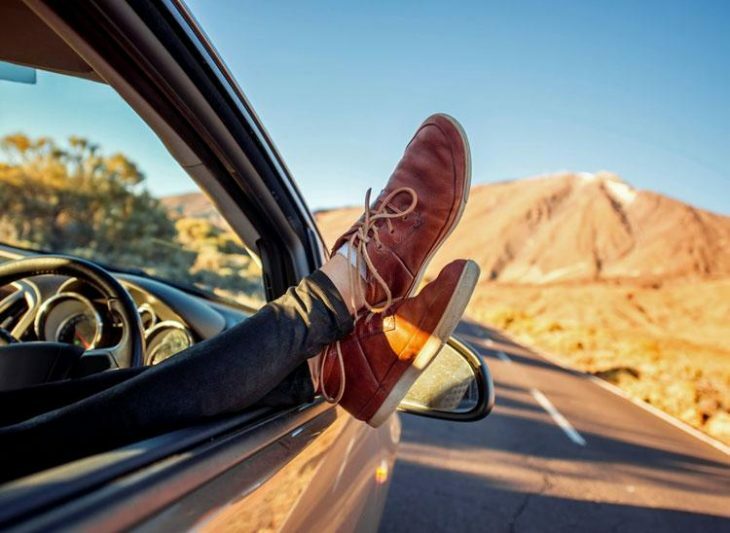 When you’ve been enjoying the road trip tunes during the drive, you disembark and the silence hits, you can be left wanting to get back behind the wheels, just to get the music pumping again. Not so with the Coolest, because it has Bluetooth speakers. Even more, they are splash proof, so if you spill that mojito, or you take it down the beach, it’s still going to work. Next is the USB charger. Then also hidden within this little gem are four plates, a brilliant knife, and a corkscrew. And don’t forget the inbuilt bottle opener. Wrap this all up in a wheelie device and you’ve got a must have gadget for a sublime road trip. Ok, so we know that your sense of direction is legendary, but let’s face it, Australia does the great outdoors like nowhere else on earth and you can easily go 200km in the wrong direction before really realising it. What’s more, it’s not just a case of knowing where you are on the map, GPS trackers elevate your road trip from the risky to the safe. With a GPS tracker on board you’re going to be able to keep tabs on your home from home from the minute you leave the drive, till you’re back home safe and snug. Not to mention, GPS trackers can be extremely beneficial especially if you are travelling alone in remote areas and want the safety net of being able to be located. The good news is that the Australian market it truly spoilt when it comes to GPS trackers. We have a whole range from a plethora of providers such as Securatrak, TomTom, Telemax, Intellitrac, Track My Ride, Ezy2c, Austracker, and more. Whether you’re in a campervan, on your motorbike, or clocking up the miles in your humble family car, then there will be a GPS car tracker for you. So we know you’re on a road trip to get off the grid, until… the kids need to know where the nearest fast food outlet is, or you suddenly remembered you forgot to email that client back, or you simply want to plan your next day’s route, or book a motel… all of a sudden you need the internet but you’re in the Australian outback which doesn’t exactly have the greatest internet reception. You need a Mobile wireless internet device. Fortunately, there are a wealth of gadgets to choose from. We particularly like the Telstra Pre-Paid 4GX Car Wi-Fi. This simply plugs into your USB port or cigarette lighter and you’re back online. If being connected to the web is essential for you then a mobile wireless device is ideal. The Wi-Fi can come on holiday too. Now, if you’re an office bod you might be used to external hard-drives for backup. But listen here, your family are going to thank you, big style, if you sort out an external hard-drive before your road trip. Why? Because you can pack it full of everyone’s favourite music, TV shows, and movies. Goodbye boredom. There are a whole heap of options out there, but we recommend the Toshiba Canvio Portable Hard-drive. With its staggering 2TB of storage space, you’ll have enough storage for 820 full length movies! Loading it up is easy and it comes with an internal shock sensor, perfect for the bumpy roads. 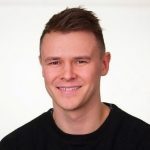 Josh Frisby is an GPS tracking expert, manager of Global Positioning Specialists – an Australian GPS tracking comparison site – and has had his research into the automotive industry published in leading automotive and news industry publications, including Business Insider, Yahoo! and MSN. The list could apply to any road trip, not only in Australia. This is the editor´s favourite travel gadgets. What are yours? Please share in the comments below, on Twitter, Facebook , Instagram or Google+ .